When in Rome, do as the Romans do. 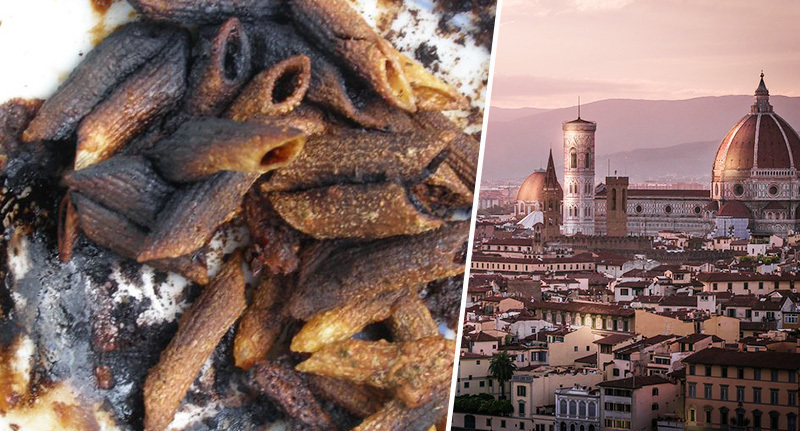 However, when in Florence, do as no-one does, which is cooking food however you want – even if it means burning your kitchen down. Please, just cook pasta safely and properly, it’s too tasty to waste. Three American students, however, have reportedly reached the ripe old age of 20 without ever realising, to cook pasta, it needs to go in boiling water, rather than in a completely dry pan. And, unfortunately, the three students found out the hard way, when their pasta caught fire. Though it’s doubly delicious they did this in Italy, the home of pasta. According to Italian newspaper La Nazione, the three 20-year-olds were trying to make the classic Italian dish spaghetti Bolognese, or spag bol to those who like to abbrev. However, instead of boiling water and chucking the pasta in, the students just chucked the pasta in, and because spaghetti isn’t supposed to be fried or grilled, it caught alight pretty quickly. Seemingly still unaware of the amazing uses of water – the students then had to call the fire department to come and put the fire out. Hearing of the ordeal, Florentine chef Fabio Picchi decided, instead of ridiculing the American students, they simply needed educating, so offered them a few of cooking lessons in one of his restaurants. They will have lunch in our restaurant with two of my extraordinary cooks. They will teach them the simple basics that are very good if done well. I think this can be useful to them, but also to us. Understanding is what is beautiful and necessary. Thankfully, no one was hurt in the fire, and – if they decide to step into the kitchen again – it will be a valuable learning experience for the students. I think, for inspiration, the students should sign up for Rate My Plate, where enthusiastic amateurs show off their best home-cooked dishes, hoping other users will rate them highly. Who knows, we might have the next Carol C in our midst?